Cape Town – The Proteas picked up their Australian foes and shook them about with bullying zeal on a dramatic, probably series-swaying day two of the final Test in Perth on Saturday. 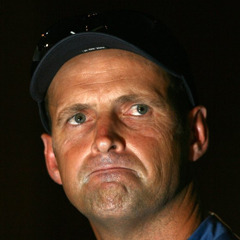 Just about in the game despite another oddly erratic performance on the first day’s play, coach Gary Kirsten – at least if some of the visiting South African television commentators’ dressing room “eavesdropping” is to be believed – had apparently put aside his normally calm, even-tempered characteristics to deliver a fair old scolding. If that was indeed the case, what a response it elicited! By stumps three further sessions on, in a seriously fast-motoring Test match, the Proteas had got tantalisingly close to delivering a knockout blow in defence of their world championship title, if you’ll excuse the slightly drawn-out boxing parlance. Still, it is safe to say that the tourists have suddenly claimed an iron grip, even with the midway stage of this contest, time-wise, remarkably still some way up the road. The South Africans lead by an deeply assuring 292 runs with eight second-innings wickets in hand, and a certain Hashim Amla unlikely to be especially fidgety – who, Amla? Fidgety? – about supping with his score on an unbeaten 99. They have moved with amazing stealth in their second turn at the crease: the Aussies’ much-debated, entirely fresh pace attack at the WACA could be said to have gone decisively “vrot” in the last session as Amla and captain Graeme Smith smashed 178 runs at almost seven to the over for the second wicket. The one thing about Peter Siddle, questionably omitted for fatigue reasons after his noble exertions in vain at Adelaide, is his never-say-die spirit and that would have come in mightily handily as the revamped Aussie “arsenal” only took a savage beating. Perhaps marginally in the Baggy Greens’ defence, there are times when you simply pull a “bad nut” from the box at the start of the opposition innings and it just doesn’t give you that crucial little bit of extra aid you need – especially in circumstances where you have started to slip behind the eight ball. Swing increasingly absent to a notable degree, the relentless progress of Amla and Smith was such that thoughts about what would constitute a defendable target for the South Africans to set quickly turned near-obsolete. Wessels, for instance, long before the pair had really got into their stride (and Smith, especially, had actually looked desperately scratchy before tea) was forecasting that “280 will be tough batting last”. Quick as a flash, the Proteas had taken such a conservative, possible figure right out of the equation ... if their array of remaining batsmen keep their wits about them on Sunday, the Aussies having to chase down 450 or more seems a realistic scenario. And with their top four, in particular, brittle and fitful in run-delivery terms throughout the series thus far, it would take a brave punter to suggest they’d get there. Only counting further against them was the evidence from the morning’s play that Dale Steyn, the enduring champion of South African pace bowling, is recapturing his lustre at a rate of knots after starting the series unusually tentatively. His near-unplayable ball to dislodge premier danger-man Michael Clarke must have sent shockwaves through the Aussie dressing room, considering how heavily he had hitherto contributed to their competitiveness in the series. If Gary Kirsten put a verbal rocket up the Proteas’ posteriors on Friday evening, what price another South African of generally genial disposition doing the same in the Australian change-room after Saturday’s events? His name, of course, is Mickey Arthur and if he has gone that route, the home country will pray for an on-field backlash as productive.